Long-term results from the Nordic MCL2 and MCL3 trials showed patients with mantle cell lymphoma (MCL) who are positive for minimal residual disease (MRD) following allogenic stem cell transplant (ASCT) had significantly shorter survival. Progression-free survival (PFS) in MRD-positive patients was 20 months compared with 142 months for MRD-negative patients. At 10 years, overall survival (OS) had not been reached in the MRD-negative group, but was just 35 months in the MRD-positive group (P <.0001). In the Nordic MCL2 trial, patients received a total of 6 cycles of alternating maxi-CHOP-R (cyclophosphamide, doxorubicin, vincristine, rituximab, prednisolone, and R-Ara-C [cytarabine, rituximab]), followed by ASCT. The induction regimen was the same in MCL3, but responding patients not in complete remission before ASCT received yttrium-90 ibritumomab tiuxetan (Zevalin). Patients who developed a solely molecular relapse during follow-up in both studies received 4 weekly doses of 375 mg/m2 of rituximab (Rituxan) that could be repeated in the event of recurrent molecular relapses. Cohorts in both studies included 160 patients younger than 66 years with untreated stage II-IV MCL. Researchers obtained an MRD marker for Bcl-1 or IgH rearrangement in 215 patients, including 94 (59%) of the 160 patients in the MCL2 trial and 121 (76%) of the 160 patients in the subsequent MCL3 trial. They then analyzed fresh samples of bone marrow for MRD on 183 patients who completed ASCT and for whom researchers had collected a quantitative real-time PCR assay marker for MRD. Median follow-up was 8.5 years among survivors. PFS and OS results for the study cohort were not significantly different from those of the 97 patients who also completed ASCT and whose MRD status was unknown. Pre-ASCT, 54 patients (42%) were MRD-positive. Median time from ASCT to first molecular relapse was 55 months for all patients. Sixty-seven patients were eligible for preemptive rituximab, and 58 received this therapy as planned. Median time from first molecular relapse until clinical relapse for this group was 55 months. Of the 86 patients (47%) who remained MRD-negative in all analyses performed following ASCT, 63 (73%) are still alive and in clinical remission. Nineteen patients (22%) relapsed clinically and 4 died from other causes. Of the 97 patients (53%) who were MRD-positive at any time post-ASCT, 64 (66%) also relapsed clinically. Twenty-seven patients had clinical relapse simultaneously or within 3 months after the molecular relapse, and most did not receive preemptive rituximab. Of the 58 patients who underwent preemptive rituximab therapy, 28 (48%) were in continuous remission and 30 (52%) experienced clinical relapse. Another 25 received rituximab for molecular relapse on multiple occasions. Eighty (87%) of a total of 92 rituximab treatments in which subsequent samples for MRD were obtained led to MRD negativity. Among all of the rituximab-treated patients who converted to MRD negativity, 34 (69%) became MRD-positive again in a subsequent sample, suggesting that rituximab had only a temporary effect. Kolstad A, Pedersen LB, Eskelund CW, et al. Molecular monitoring after autologous stem cell transplantation and preemptive rituximab treatment of molecular relapse; results from the Nordic mantle cell lymphoma studies (MCL2 and MCL3) with median follow-up of 8.5 years. 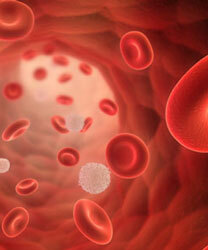 Biol Blood Marrow Transplant. 2017;23(3):428-435. doi: 10.1016/j.bbmt.2016.12.634.